I currently don't mind democracy, though I am not adverse to monarchy and possibly other governmental structures. Christians are called into a different kingdom and can live under any political or economic structure, although some are more pleasant than others. Nevertheless, it is good to understand the proper role of the state; and if one finds himself in a democracy then it is good to vote well (if one thinks he should vote). How should we frame our ideas about the state? The state is a social structure where leaders oversee community. There are, however, several God ordained social structures in this world and we need to start with the central ones. Prior to the Fall we have Adam relating to God which is the first and highest order relationship. I think that the individual relationship and the group relationship with God—Adam and Eve pre-Fall; God-worshippers, faithful Israel, righteous Gentiles, and the church post-Fall—are all part of what will become the Bride of Christ. This is the pre-eminent social/ spiritual relationship in the universe. All of this world is building toward that relationship. I have included family, however children, while very important and a blessing, are not as fundamental as marriage. They are temporary; given to us to train them to love God so they can depart to form a new unit—the son leaves his parents and joins with his wife. God is the giver and owner of life, we are made in his image. Thus God gives commands concerning life: Men are to refrain from eating blood because of the life symbolism; and men are not to kill men. The context suggests that it is murder that is forbidden here, as the murderer is to be subsequently put to death for his actions, capital punishment being commanded not condemned even though it removes life. These commands of God establish legality. Even if full government is not required, there needs be some community structure to deal with murderers; be that egalitarian, or community elders, or kingship, or some other structure. So the state is enacted by God some centuries after the Fall and it is necessary because we are fallen creatures. If marriage is a temporary institution, how much more so then is the state! There is much the Bible teaches us about ideal government, what God intends leaders to do, what they should concern themselves with, how they should rule; but this is on the background of the above concepts. Our ideas about temporal government need to be tempered by thoughts on eternal relationship and our current fallen nature. Nitrogen and warmth are good for plants, who would have guessed? found that the trees grow faster at higher temperatures and store more carbon at greater concentrations of nitrogen, a chemical constituent of acid rain, providing there is sufficient moisture. The article mentions climate change, though any long term change in temperature is climate change whatever the cause. The unqualified mention of climate change carries an implicit anthropomorphic qualifier but this is neither proven nor disproven by these findings. It does remind us that increased temperatures are generally beneficial. Are these findings overly surprising? It is definitely useful research. However we do need to remember that coal is metamorphic biomass. If we burn coal we are releasing the components of plants back into the biosphere. Coal is the stuff of trees. If coal is burnt well (to avoid the formation of new organic toxins) the sulphur, phosphorus, nitrogen, and trace elements are what plants use. The release of massive amounts of compounds in a focused area may have some unintended consequences, but that these compounds are good fertilisers is to be expected. Any predictions for further research? 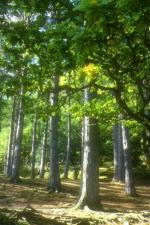 The article mentions that the trees need sufficient moisture. Perhaps an increase in CO2 (related to temperature, not burning fuels) may allow more growth with less water as seen in other research. This is a list of topics on which various political parties have policies on. I have included all the current parties and have also included The Family Party which is not in parliament but it is an example of one of the current Christian parties running for election. Obviously these do not say what the policy is, but it gives a range of issues that parties think they need policies on. Their policies are on their websites, there are also policy lists on VoteMe. I had the opportunity to discuss politics with one of my pastors recently. He was interested in who I would vote for. Where to start? There are so many issues to discuss. I think people, including Christians, think too superficially about this issue. Even those who think in some depth often cover only a few and not all the issues. And frequently people fail to address the fundamentals. Last election a different pastor discussed voting and suggested people think about the principles underlying policy. Many parties may have similar policies but vastly different principles leading to that policy. It is the principles that are more fundamental. Political parties can have policies on a variety of issues. Even more foundational than what the principles are, is: in what areas do the principles really matter? How do we weigh the issues of say justice versus health or education? How do view a party that has the right principles guiding policy on minor issues or issues government should not be involved in, but the wrong principles guiding core government function? I hope to discuss the nature of the state, what policies government should be involved in and the principles I think those policies should be shaped by. In response to a recent post on sovereignty I received an anonymous comment suggesting my analysis contradicted the Bible. This is a bold claim, though I am prepared to defend my position. I will add that this post is an object lesson in why proof-texting can be a poor technique. While short texts of Scripture can refute error, they need to be understood and applied correctly. Anonymous did not expand on the texts or explain how they contradict my claims. My claims and anon's quotes are in italics, my response is in roman type. Anon: This is a sad commentary. You analysis says exactly opposite of that the Bible says. I don't think sovereignty by necessity means God can force people to love him. God can still be sovereign even if the whole whole rejects him. Our acceptance or rejection of God does not alter the fact that he is King and owns the cattle on a thousand hills. bethyada: Calvinists have claimed that God chooses specific men for salvation because he is sovereign. Those are saved to maximise God's glory in his mercy, and others are damned to maximise God's glory in his wrath. If we remain disobedient God prepares us for destruction, but he desires repentance. bethyada: I don't think it possible for God to force anyone into heaven. Or rather force anyone to love him; heaven is the destination. So I think the Calvinists are incorrect about sovereignty over who is saved because it is not an question of sovereignty. And what does mercy have to do with forcing people to love him? God can have mercy on whoever he wishes, but he has said he will not do so unless we repent. And if he gives us mercy we can still choose not to love him. bethyada: God can create, God can woo (prevenient grace), God can save, God can give eternal life, God can create freedom of the will. This is not about our acceptance or rejection of God, it is about God giving us the ability to do what we desire to do. Just because we choose God and reject evil does not mean we have the ability to walk according to our choice. God in Ezekiel says this new heart will cause us to walk in his statutes, and while consistent with an unconditional election position, is also consistent with conditional election. God can give us ability if we desire it and he has promised it. If we desire it alone we cannot do it. God says here in Ezekiel that he will do this for his own glory, but this does not necessarily mean that he will do it to those who are evil and unrepentant. The question here is not about God's abilities to help us live by the Spirit, rather it is about whether God changes us despite our will, and whether determinism allows love. bethyada: To have such a high view of sovereignty that claims that God can make us love him, seems, to me, as preposterous as a high view of God's omnipotence means he can make 2 + 2 = 5. My claim was specific. I am not saying that God is not sovereign. Non-Calvinists acknowledge the sovereignty of God. The comment as it stands already refutes your response. A high view of God's omnipotence does not automatically make God able to do the logically impossible. By analogy I claim that a high view of sovereignty doesn't mean that God can make free people love against their desire. A verse reinforcing God's sovereignty does nothing to prove me incorrect. If I am incorrect it is because my analogy is incorrect or inappropriate. Further I think God can force activity and situation outcomes against the will of man; see Nebuchadnezzar's 7 years. But Nebuchadnezzar still had to choose to love or reject God. bethyada: Further I think God does desire every single person go to heaven. I don't think any have been created specifically for destruction...Calvinists are incorrect about this being the reason for creating beings for damnation. And I can proof-text just as easily. I am not claiming that all men will be saved, just that God desires such. The verses from Job and Jude do not say that men were eternally elected to be evil and thus damned, they say that God will surely punish the wicked. The verses are compatible with a Calvinist interpretation, but they do not teach Calvinism. Jude could be read that the condemnation is determined before the wickedness, yet God's foreknowledge allows him to determine their condemnation prior to the event even though the condemnation is because of the event. That is, the cause is the wicked actions even if knowledge of the wickedness predates the actions. The Job passage seems an odd rebuttal as the speaker is Zophar and the conclusion is that God decrees thus because of the evil man's wickedness. Which is compatible with God ensuring that outcomes will be just; that is, God will ensure our actions will ultimately have their appropriate consequences. Through other Scripture we know this takes into account God's mercy. "for its answer." The term לַמַּעֲנֵהוּ (lamma’anehu) has been taken to mean either "for his purpose" or "for its answer." The Hebrew word is מַעֲנֶה (ma’aneh, "answer") and not לְמַעַן (lema’an, "purpose"). So the suffix likely refers to "everything" (כֹּל, kol). God ensures that everyone's actions and the consequences of those actions correspond—certainly the wicked for the day of calamity. In God's order there is just retribution for every act. with the assumptions of one's position which, while possibly consistent with the text, are not specifically found within the text. It is better to interact with the Scripture and the points made by one's opponent. Documenting not just what the Bible says, but explaining what and why it means thus. I find it interesting that many of the well known people of Jesus' day: the Pharisees, the Sadducees, government officials in Jerusalem and Judea; are now unknown or relatively unknown; and in as much as they are known, it is via the New Testament which Christians have kept. Jesus was lesser known initially, though his fame spread quickly (Mark 1:28) and by the end of his ministry many of the people in Judea had heard of this Rabbi. Now after 2000 years most of the people of influence of that time can barely be named, and those who can are remembered for their relationship to Jesus. Moreover Jesus is called Lord by 1–2 billion people worldwide and his name is known or revered by few billion more. Many of these previously famous men mocked Jesus or held him in derision. Ah, the irony! As well as a sense of justice God must surely have a sense of humour. The English Standard Version (ESV) is my preferred translation. The ESV Study Bible is being released today. The concern with study Bibles is when people spend more time reading the notes than Scripture, but good helps and maps do improve understanding. This looks like it will contain some useful material. The general editor is Wayne Grudem, a superb scholar. J.I. Packer is the theological editor. It will likely have a Calvinist flavour and is unlikely to be conservative enough in some areas such as chronology, but unless I write my own study Bible... and then I wouldn't need it. Sam Harris of End of Faith and Letter to a Christian Nation fame is studying functional magnetic resonance imaging of brains with a focus on belief. I have my doubts this methodology has the ability to discover anything of worth. Part of Harris' process is to come up with questions that give a predictable response. Of interest was the question about the reliability of the Bible concerning ancient history. The Bible is a very unreliable record of ancient history. It may be anticipated that atheists do not give the Bible much credibility concerning its theological teaching—else they might be theists. And it probably is not unexpected they disagree with the first few chapters of Genesis given that abiogenesis and macroevolution is the major competing worldview, and Darwin is the darling of atheists worldwide. But to insist that Bible history is generally unreliable, let alone very unreliable, reveals an irrational anti-biblical bias. Other ancient texts with obvious internal errors are often treated as generally reliable. People read Herodotus, Plato, Thucydides, and Manetho; and refer to records of ancient nations; and consider the material reliable, or at least give it the benefit of doubt. These ancients write with their own agendas, with religious claims, and often times refuse to document the failings of favoured men. At minimum it seems reasonable to give the biblical historians a similar standing—especially given they frequently document the failings of their people and leaders! Further, the archaeological confirmation of several biblical claims should increase the biblical authors' secular credibility. I think this atheistic response originates not from the realms of reason for which they pride themselves, but is the emotional reaction of their intense antitheism. For those outside the Oceania John Clarke is a New Zealand born comedian living in Australia. Paul Moon is a professor of history whose interests include the history of the Maori people in New Zealand. His recent research is about cannibalism within previous Maori culture which he documents in his book This Horrid Practice. Unfortunately this has not passed the politically correct test. A complaint went to the (New Zealand) Human Rights Commission, the Commission suggested mediation! ...why should an historian have to be “brave” when choosing to write about a topic, and what does this comment say about the state of academic freedom in this country? The fact is cannibalism has been well documented in many cultures around the world including the South Pacific. Both Papua New Guinea and Irian Jaya; Solomon Islands, which was known as the Cannibal Isles; Marquesas Islands; and Fiji. Scripture is not afraid to mention these matters though it does not condone them. During a siege 2 Israelite women made a murderous and cannibalistic pact (2 Kings 6). Ideology drives research to an extent, it determines the types of questions that are asked. But unfortunately some people appear to let their ideology drive their conclusions. While it is reasonable to be suspicious of questionable conclusions and request further proof, to predetermine the conclusions that match your philosophy by manipulating data or forbidding (amoral) research which may oppose your worldview means that one will never come to an understand of the truth. One may even defend lying for the greater agenda. Conclusions will often be understood within the underlying paradigm. Logically valid reasoning will not override bad premises. But it may call into question one's premises. The desire should be for truth; if the truth contradicts your belief it means that your belief does not correspond to reality. Worldviews should be both internally consistent and correspond to reality.